The Nedo lightweight measuring wheel is fitted with an abrasion-proof precision wheel and a precision counter that guarantees exact measuring results. This Nedo measuring wheel is equipped with an ergonomic pistol grip and an integrated braking button. 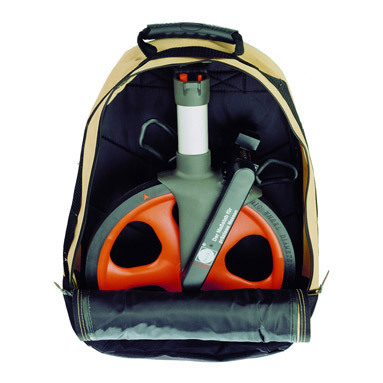 The compact dimensions and carrying handle ensure that this measuring wheel is easy to transport. Complete with Nedo Trekking Rucksack.